Ingest logs and data from your infrastructure into one comprehensive event log correlation tool. Automate event log normalization and correlation to quickly transform data into actionable insight. IT event correlation software can help determine what data to use for compliance and audits. Event logs can be useful in understanding security threats, but they are worth far less when kept in isolation. Threat patterns can only be recognized when event logs generated across the infrastructure are analyzed side-by-side. Threat Monitor – IT Ops Edition includes security information and event management (SIEM) event correlation capabilities to ingest logs from infrastructure sources, including networking equipment, firewalls, servers, applications, endpoint protection, databases, and third-party cloud vendors to analyze data at event-time to identify patterns that may signal an attempted attack. The connecting of dots from hundreds of different event logs is a complex process that converts raw data into actionable insights—and gives IT professionals the ability to make informed responses to security threats and devise better IT policies. 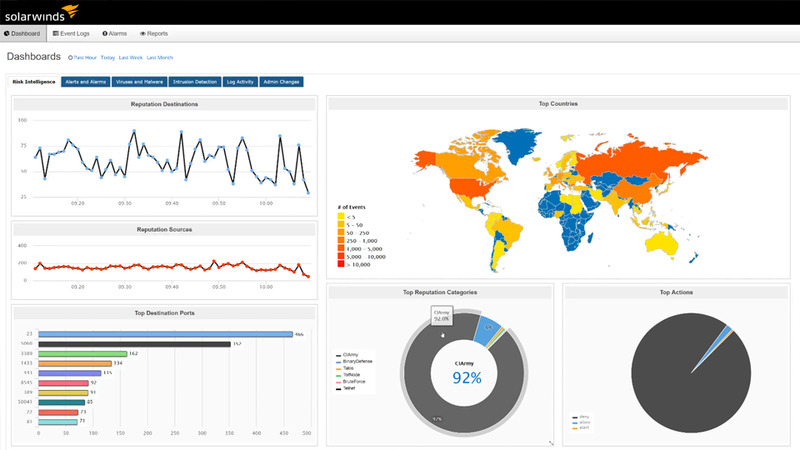 Threat Monitor – IT Ops Edition helps improve efficiency and reduces wasted time by automating event log normalization, correlation, and event correlation analysis processes. The Threat MonitorSIEM-focused event correlation system is designed to help remove potential human error from the equation. Remaining compliant with regulatory requirements around security and networked systems can be a complicated process. The SIEM normalization and correlation capabilities of Threat Monitor – IT Ops Edition can be used to organize event log data, and reports can easily be generated to outline security-related threats and events, allowing IT professionals to create competent prevention plans. Create these reports with the integrated set of security event correlation monitoring and reporting tools, and if necessary, customize reporting templates to meet the needs of your organization. Logs come from many sources, so their output format will differ. Some logs may be read by humans, others may be in machine language. Manually sorting and analyzing hundreds of daily event logs takes focus from other tasks and can introduce human errors. Changing standards and different reporting formats make it difficult to know what log data is required for regulatory compliance. What is SIEM event correlation? SIEM event correlation, also known as SIEM event log correlation, is the monitoring of incoming logs across an infrastructure by an SIEM event correlation tool for logical sequences, patterns, relationships, and values to analyze and identify events invisible to individual systems.